On our vacation several weeks ago we stopped back by the Brevard Zoo in Melbourne, Florida. 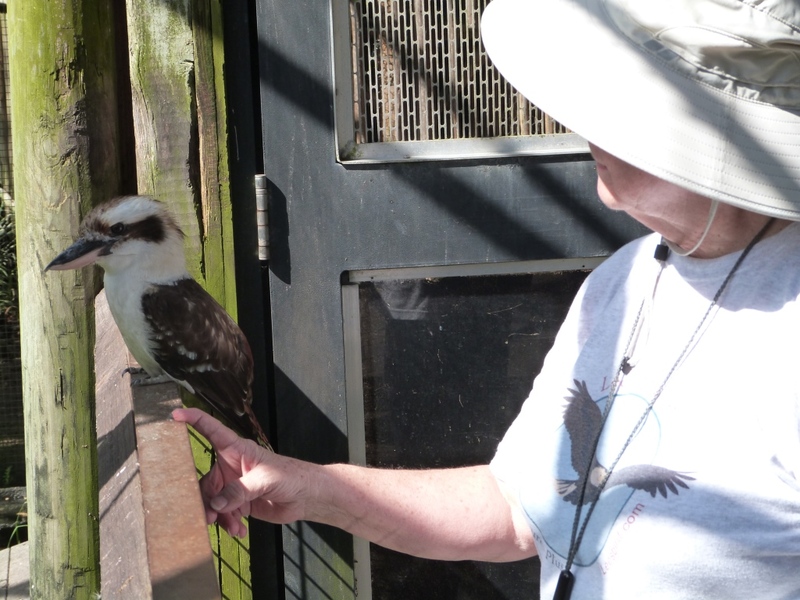 I had a neat Kookaburra Encounter. 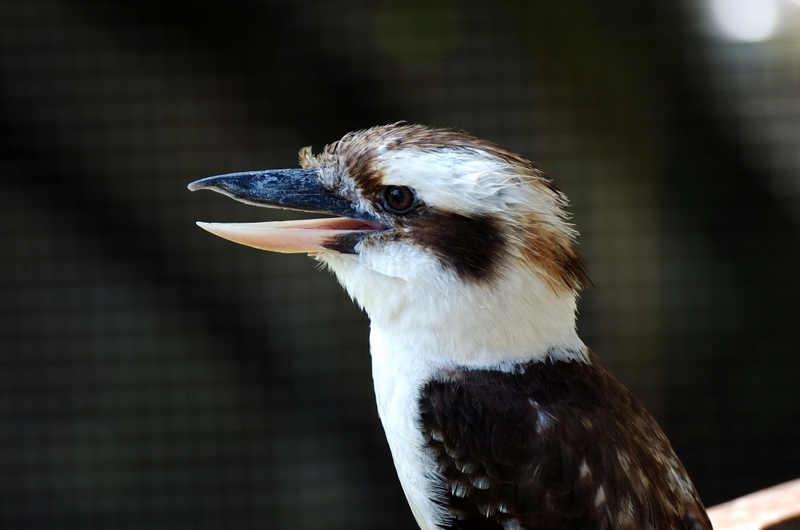 The Laughing Kookaburra is in the aviary where the Lorikeets, Galahs and other birds are kept. When I came through a door, right there on the rail sat a young Laughing Kookaburra. I have seen them before, but never as close as this one. I got within inches of him/or her. I could have touched it, but was afraid of that beak. I have to admit, I was thrilled. Just looking at one of the Lord’s creations so close. Wow! 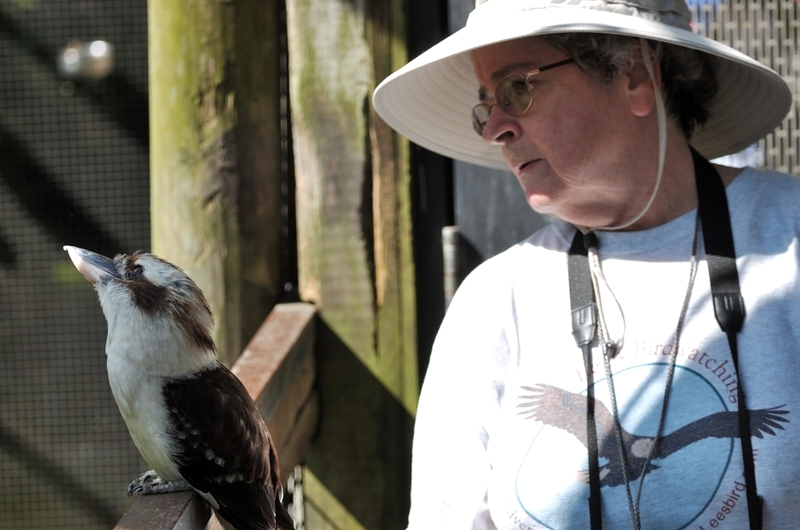 That one photo Dan took of me and the Kookaburra, my hand was within 5-6 inches from it. May I never lose my AWE at seeing and encountering the Lord’s critters.